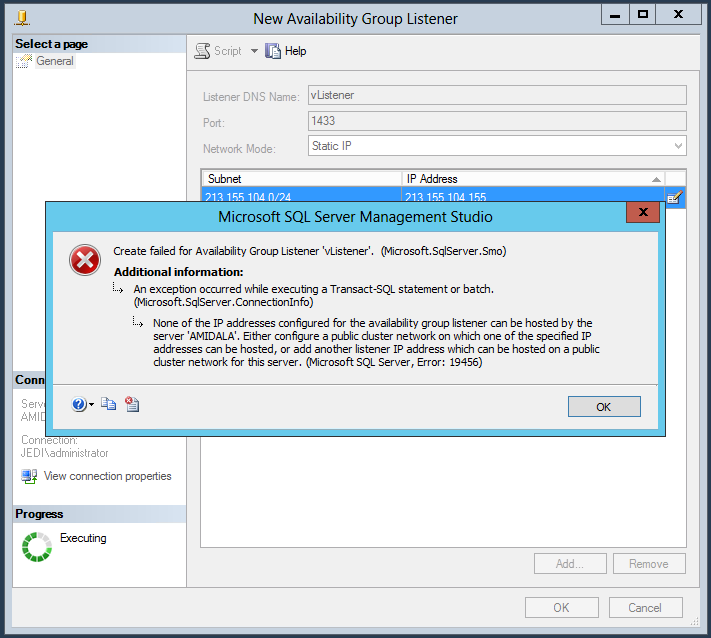 If you want to create SQL Server 2012 Always On group, you may get this error when you setup listener. If you get this error, probably your SQL collation is not “SQL_Latin1_General_CP1_CI_AS”. 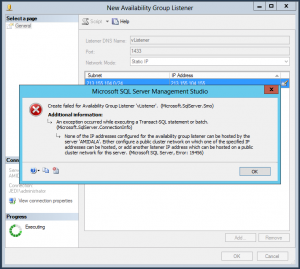 You should remove your SQL servers and re-install them with “SQL_Latin1_General_CP1_CI_AS” collation. After that, you will be able to add listener. I’m not sure why error is related with IP address but my problem is fixed after collation change. My previous collation was “Turkish_CI_AS”.